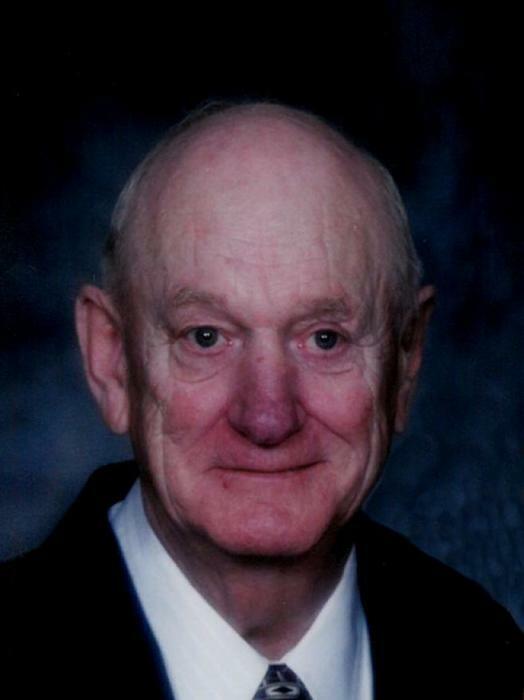 Obituary for Irving Anderson | J. H. Lynner Co.
Irving Anderson passed away peacefully on November 12, 2018 at the Granite Falls Health Center, at the age of 90. Memorial services will be held Wednesday, November 21, 2018 at 11:00 AM at Clarkfield Lutheran Church in Clarkfield, MN. The Rev. Jean M. Megorden will officiate, and burial will be in the church cemetery. Visitation with the family will be held one hour prior to services at the church Wednesday. Irving was born in Clarkfield, MN on June 5, 1928 to Ingvold and Julia (Satre) Anderson. He was baptized and confirmed into the Lutheran faith, and graduated from Clarkfield High School in 1946. Irving was united in marriage to Harriet Hanson on June 18, 1949, and they made their home in Lisbon Township in Yellow Medicine County where they farmed. Together they had two sons: Bruce and Brian. Irving had a love for athletics. He was an all-state football player, and even spent a year playing college football at Gustavus Adolphus in St. Peter, MN, but had to return home after his father’s illness. His love for athletics went beyond playing. Irving enjoyed watching and being involved in his sons, and grandchildren’s sporting events, traveling and watching them compete. He also officiated basketball and football for many years. Another activity Irving enjoyed was fishing, which he would spend time doing at his summer lake home on Lake Minnewaska, and at his retirement home on Lake Kampeska, in Watertown, SD. Before retirement Irving was on the Clarkfield School Board, and the REC Board for over 20 years. Irving is survived by his two sons: Bruce Anderson, and Brian Anderson (Tony Cross); grandchildren: Alecia Malek, Sarah (Darren) Manthey, Jon (Amy) Anderson; great- grandchildren: Darren Malek, Adrian Malek, Blake Manthey, Nathan Manthey, Morgan Manthey, Macy Anderson, Miles Anderson, and Mia Anderson; and sister, Joann Nelson. Irving was preceded in death by his parents; wife, Harriet; brother, Waldemar Anderson; sister, Alfield Freiberg; and daughter-in-law, Alvina Anderson.